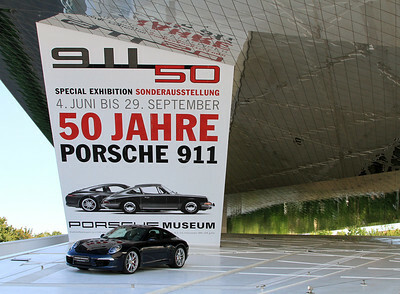 Stuttgart, Germany. 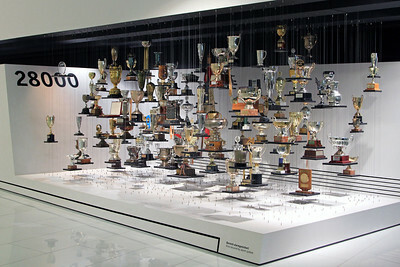 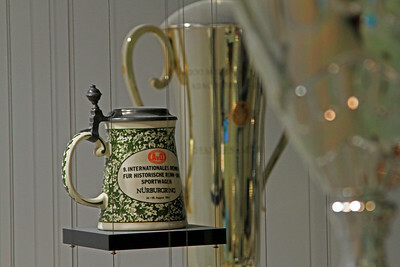 Visited 17 August 2013. 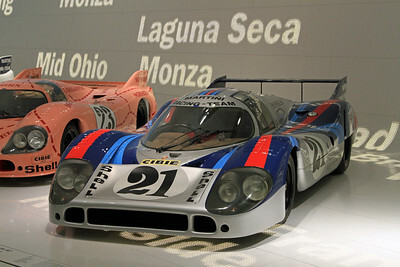 Porsche 917 - Martini Racing (with the "Pink Pig'" in the background). 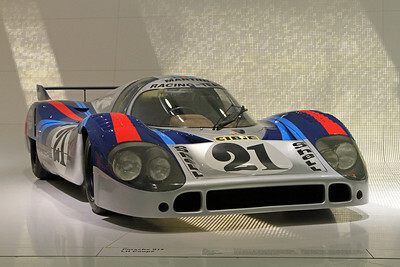 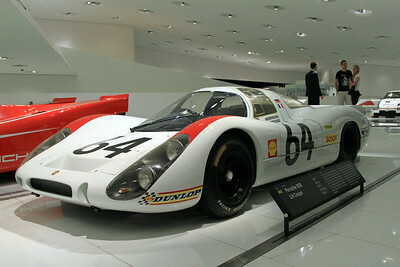 1971 Porsche 917 KH Coupe (Martini Racing); 1971 24 Hours of Le Mans winner. 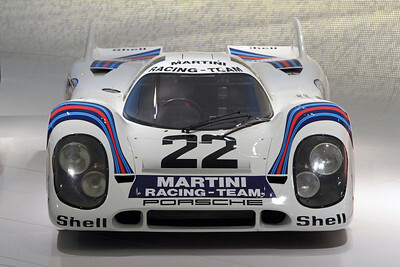 Martini Racing Porsche 917LH 4.9L from 1971. 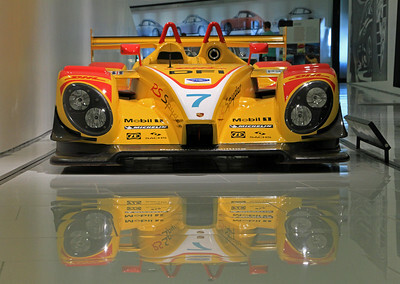 2008 Porsche RS Spyder Evo. 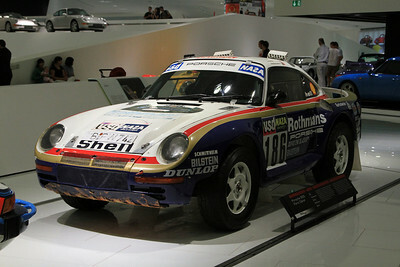 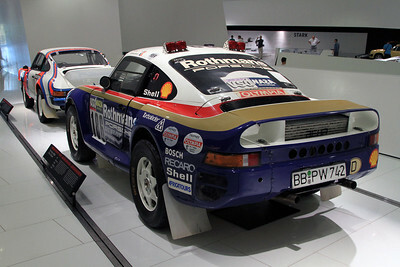 1986 Porsche 959 Paris-Dakar Winner. 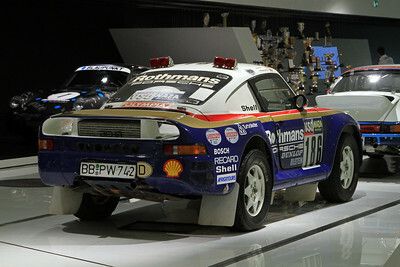 1986 Porsche 959 Paris-Dakar Winner, and in front is the Porsche 911 SC of Bjorn Waldegard from 1978 Kenyan Safari rally. 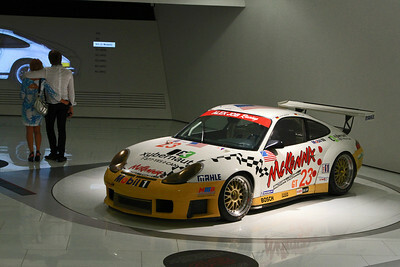 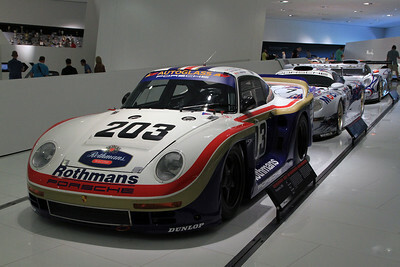 The Porsche 961 as it appeared for the 1987 24 Hours of Le Mans. 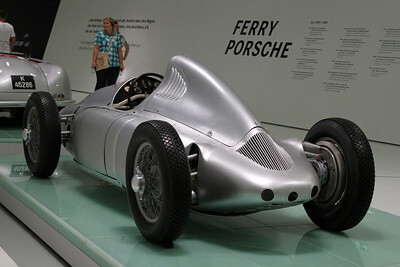 1946 Porsche Type 360 Cisitalia.